The following books by Gareth G Morgan can be ordered directly from Kubernesis. Click below for secure online ordering. 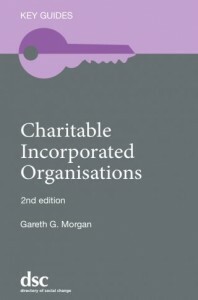 Charitable Incorporated Organisations 2nd edition. Gareth Morgan’s key text is the only book to focus specifically on the CIO structure for charities. In the second edition (2018) the content has been thoroughly revised to reflect five years experience of CIOs in England and Wales (and seven years of SCIOs) and there are many additions. Major changes include: direct conversions of charitable companies and CICs to CIOs from 2018 • inclusion of CIOs on the business names register at Companies House from 2018 • new conversion process from 2016 for Scottish unincorporated charities to SCIOs • impact of new Charities SORP on CIOs • new charity registration procedures in England & Wales • and much more. This is an easily-understandable guide to the realities of setting up a CIO, running a CIO, or converting existing charities, covering CIOs throughout the UK: CIOs in England and Wales, SCIOs (Scottish CIOs) and Northern Irish CIOs (when implemented) with extensive legal footnotes. The content runs to 416 pages. Priced just £27.50 including P&P. Please click the ‘Add to Basket’ button to order online (secure payment with any mainstream credit/debit card), or download an order form if you would prefer to send a cheque. The Charity Treasurer’s Handbook provides a wide ranging introduction to charitable status and charity accounting, including financial management, presentation of accounts, audit/independent examination, and charity trading. The book has now been substantially updated once again. 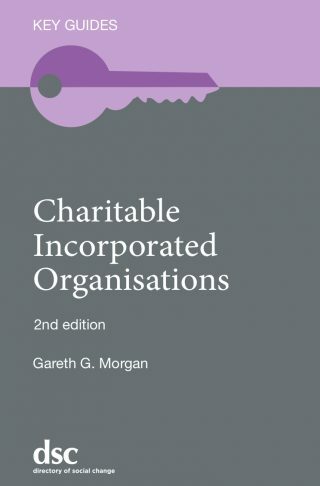 Major updates in the 5th edition (2017) include: an extensive glossary (21 pages), changes to accounting under the Charities SORP due to withdrawal of FRSSE SORP, new charity accounting regulations for Northern Ireland, substantial changes to Gift Aid requirements and to the regulation of fundraising. The book now runs to 254 pages. The price remains just £18.90 including P&P, with no increase for the new edition! Please click the ‘Add to Basket’ button to order online (secure payment with any mainstream credit/debit card) or download an order form if you would prefer to send a cheque.